Years of hard work and research go into developing new APIs, so when it comes to developing one into a new formulation for mass production, careful attention must be paid to its physical and chemical properties. Thorough consideration must go into the excipients to be used, as these can affect how the active ingredient will be released, and they can also react with the API and thereby reduce the product’s shelf life. Additionally, the processing method, such as freeze drying, must be factored for as this can cause many physical and chemical changes to the API. 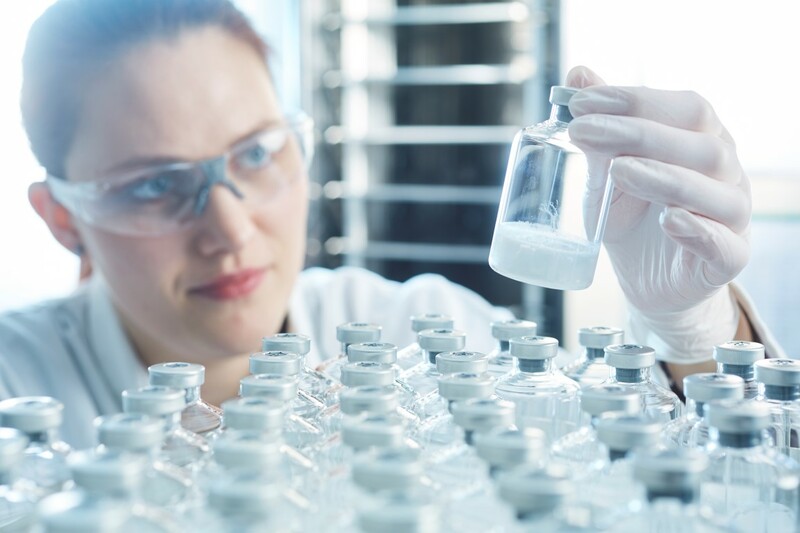 However, across the biopharmaceutical industry, there is often a disconnect between the API synthesis and formulation development stages. The API manufacturing process will frequently be almost complete when the formulators begin work on a final commercial formulation, with little or no prior communication between the two lines of work – leaving formulators with a drug substance that is less than optimal for product development. This is why it’s vital to characterize API properties early in order to produce the best possible final formulation. The cost and time involved in conducting these kinds of tests prior to formulation development is a legitimate concern. However, the modest costs involved in gaining these kinds of critical insights into the characteristics of your API early on will save you a considerable degree of avoidable damage, liability, lost efficacy, costly interruptions, and, ultimately, will prevent risk to the patients and end users. It may appear to be an easier option to go back and retro-develop the drug substance to fit with your final formulation, but the truth is that this would be a far more time-consuming, laborious and costly process. Even small changes to your API manufacturing process are likely to require a new clinical study to demonstrate that it is equally effective as the original substance in order to gain FDA approval. There’s no doubt that it’s hard to break down existing organization silos in order to create a more aligned approach to API synthesis and formulation development, but the benefits of shortening the development timeline by getting things ‘right first time’ far outweigh the negatives. In addition, you’ll see a faster return on investment, and – most importantly – get a potentially life saving medicine to patients sooner. Before formulating your freeze dried product, there are several analytical techniques which should be employed in order to create an optimum freeze drying cycle for your formulation. The first, and most crucial stage is to identify the critical temperatures for the primary drying phase of your freeze drying cycle. This is (as the name suggests) one of the most important factors that will affect your final product. There are two pieces of equipment which can be used to identify your product’s critical temperatures: a freeze dry microscope and an impedometer, also known as a frozen state analyzer. Freeze Dry Microscopy (FDM) is the only technique which can reliably identify collapse temperate (Tc) in amorphous products and eutectic temperatures (Teu) in crystalline solutions. It can also be used to identify crystallization phenomena, the possibility of skin/crust formation, and the effects of annealing on ice crystal growth and structure. Impedance Analysis (Zsinφ) is a fixed frequency dielectric analysis which indicates the sample’s rigidity/molecular mobility, including events not picked up by thermal methods like DTA or DSC. Differential Thermal Analysis (DTA) analyses the difference in temperature between a sample and a reference point, highlighting exothermic and endothermic events e.g. crystallization, eutectic melting and glass transitions. This instrument can therefore be used to calculate both the dry state glass transition temperature (Tg) and eutectic temperature (Teu) of a sample, as well as to observe crystal transitions, softening and changes in viscosity. It is best to conduct these tests prior to developing the formulation for your API, but if that is not possible, the results will help you with reformulating with the addition of cryoprotectants or stabilisers. Once you have a suitable formulation for your API, you can move onto developing a freeze drying cycle which provides reliable, safe processing in a financially efficient manner. It is also important to assess the effect of moisture on your product after it has been processed, as this could lead to cake collapse and therefore impact its long-term stability. The best technique for assessing the effect of moisture is Dynamic Vapour Sorption (DVS) which determines the moisture content of a solid-state material as a function of temperature and humidity. This testing will give useful information not just about which specific humidity level will cause cake collapse, but also which changes are irreversible, such as crystallizations and pore collapse, and which changes are reversible, such as hydrate formation. Once collapse behaviour has been determined for the freeze dried cake, you can produce accurate guidelines for its storage and stability. Biopharma Technology LLC is also able to offer our brand-new analytical product, the MicroPress. This ground-breaking large production type testing equipment allows you to take samples fro m a batch and test them mechanically for consistency. This kind of testing usually takes many hours, but with MicroPress, it takes as little as 1-2 minutes. All of the above analyses are available as a service from Biopharma Technology LLC. BTLLC provides impartial contract research, analysis, process, product, formulation and cycle development services, training courses and analytical instrumentation (FDM, DTA & impedance, DVS) to the biopharmaceutical and related industries. Our aim is to provide a world-class service to our customers and to meet the precise needs of your projects. To this end, we will work together to agree a work programme and budget that is appropriate to the size and stage of the project, whether this be a single cycle run, individual analysis or a complete formulation development programme. Our philosophy is to augment our customers’ in-house expertize to make each project a success.